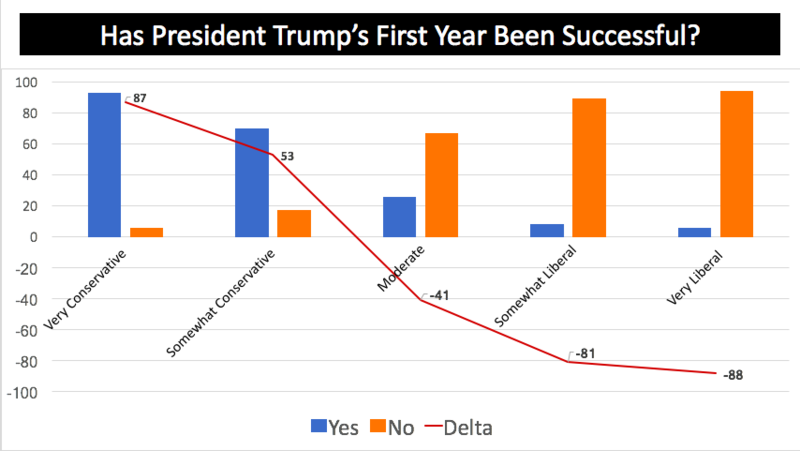 While we are still one year out from the 2018 General Election we wanted to see where Trump stands with likely voters, and evaluate the state of the U.S. Senate race. One of the most important factors in any mid-term election is the voters’ perceived performance of the president affecting down ballot races. Now, looking at the personal impact to Arizona voters that Trump’s first year in office and its effects we find a possibly better picture with a +3-point margin for respondents who thought they were better off compared to those who are worse off. But the question becomes, how long will the 28% that say things stayed the same be okay with that? We think it is inarguably true that what propelled Donald Trump into the White House was a desire for change… Yet in our polling, 61% of Arizona likely voters say things are the same, or have gotten worse. 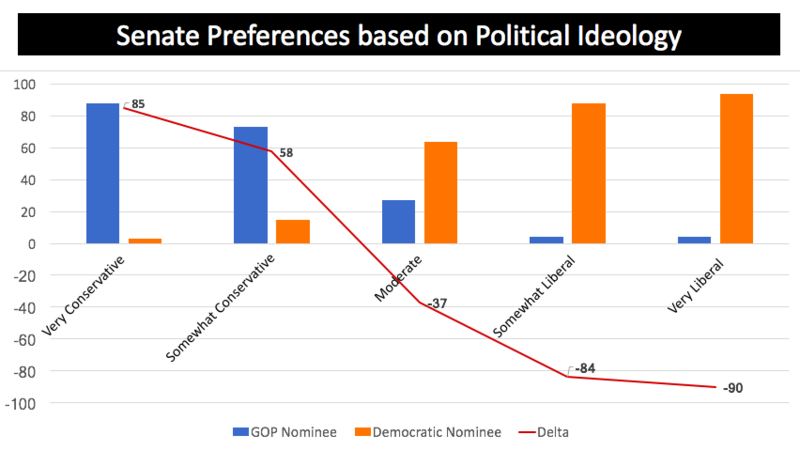 Bad news if the GOP doesn’t change that perception. We see similarities between this question and the previous performance question with gender. Males were +11 and females were -7 if they felt they were better off. On a positive note respondents in rural Arizona are +12 when it comes to being better off although the Arizona rural counties demographically are almost always the most conservative-leaning compared to Pima and Maricopa county. Republicans hold a +12 Republican likely voter advantage in the 2018 General Election, and that’s how we conducted this poll, with a +12 Republican advantage. But in both matchups the Democrat is winning by a very slim margin. McSally has the best chance being 1-point behind Sinema with Ward close by trailing by 3-points, but they’re both in the margin of error. Summary: As we start to move into the mid-term elections Trump’s support/approval among Independents is severely lacking; plus, some of his Republican base is still not fully onboard compared to the Democrats who are unified in their disapproval. The Republican primary fight between Congresswoman McSally and former State Senator Kelli Ward is currently in Ward’s favor however having campaigned state-wide for the past 3 years it appears she is well defined and may well have hit a ceiling among Arizona voters. There are many issues important to Arizona voters however the top 3 issues are education (28%), illegal immigration (27%) and health care (24%). These issues will be the driving forces in the 2018 elections due to Arizona’s proximity to the border, uncertainty in health care law and the consistent coverage on our education woes. The biggest takeaway when looking at the demographics of these results was education being the top issue for Independents (38%) and Democrats (41%). The top issue among Republican voters was illegal immigration at 44% while only 14% of Republicans said education was the most pressing issue facing Arizona. Methodology: This automated survey was completed by OH Predictive Insights on November 9th, 2017, from a likely 2018 General Election voter sample. The sample demographics accurately reflected party affiliation, geographic location and gender however age leaned heavily towards 55+ respondents due to it being automated. The sample size was 600 completed surveys, with a MoE of ± 4%.